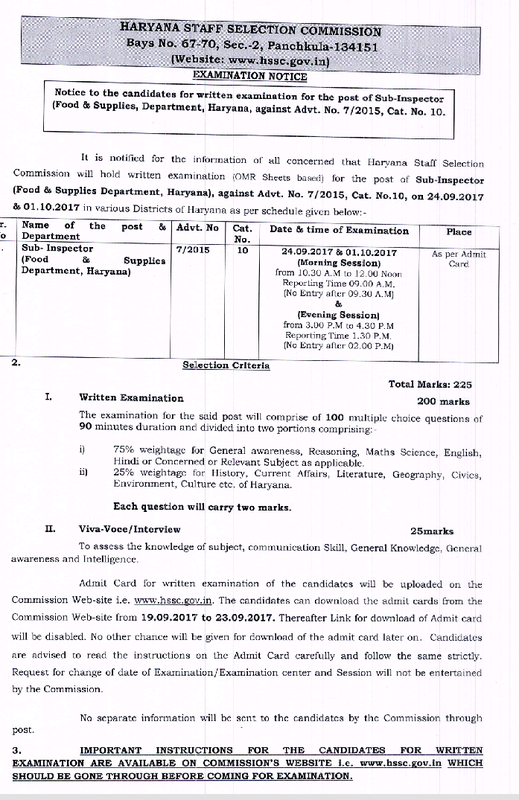 HSSC (Haryana Staff Selection Commission) has Declared written Exam Date for the Post of Sub Inspector ( Food & Supply) Advt. No 7/2015 Cat No 10. Written Exam for the Post of Sub Inspector ( Food & Supply) Advt. No 7/2015 Cat No 10 will be held on 24-09-2017 and 01-10-2017 in two shift morning and evening.